No, what you are looking at here is not a type of conifer. Nor is it an oak. This odd plant belongs in its own family - Casuarinaceae. Despite their gymnosperm appearance, this is in fact a family of flowering plants. Though the name “she-oak” does hint at their larger position within the order Fagales, it was actually given to these trees in reference to the density of their wood in comparison to more commonly harvested oak species. Other common names for trees in this group include ironwood, bull-oak, beefwood. As a whole this family sorts out as sister to Myricaceae in the order Fagales. It' is comprised of 4 genera (Allocasuarina, Casuarina, Ceuthostoma, and Gymnostoma) and roughly 91 species spread among Australia, Malaysia, and much of Polynesia. It is extremely difficult to make generalizations across so many species but there is one aspect of this family that makes them stand out - their appearance. Gymnostoma nobile in Sarawak, Malaysia. Without close inspection, one could be forgiven for thinking the various Casuarinaceae were species of conifer. For starters, their leaves have been reduced to tiny whorls surrounding their photosynthetic stems. The stems themselves have taken up the role of photosynthetic organs, which is one of the reasons this family is known for its drought tolerance. Reducing the surface area available for gas exchange helps to reduce water loss in the process. The stems themselves are arranged with whorls around the branches, giving them a rather bunched appearance. The photosynthetic branches are sometimes referred to as being ‘equisetiform’ as they superficially resemble the stems of Equisetum. They do not shed their photosynthetic branches and are therefore evergreen. As mentioned, these are flowering plants. Their flowers themselves are aggregated into spike-like inflorescences near the tips of branches. Clusters of male flowers resemble catkin-like strobili and are often brightly colored. Female flowers are clustered into a more ovoid shape, with long, filamentous pistils sticking out like fiery, red pompoms. After fertilization, bracts at the base of the female flowers swell and the whole inflorescence starts to look more like some sort of a conifer cone than anything floral. This may have to do with the fact that, like conifers, the various Casuarinaceae are wind pollinated. Therefore, their reproductive structures have had to deal with similar selective forces related to optimizing pollen dispersal and capture. Casuarina equisetifolia with catkin-like male flowers and smaller, red female flowers. Allocasuarina distyla female flowers and infructescence. Another interesting trait common to Casuarinaceae is the ability to fix nitrogen. The plants themselves don’t do the fixing, rather they form specialized nodules on their roots that house nitrogen-fixing bacteria. Unlike perennial legumes that regrow their nodules year after year, the members of Casuarinaceae hold onto their nodules, which can grow into impressive structures over time. This ability to house nitrogen-fixing bacteria is also shared with other members of the order Fagales, including members of Betulaceae and Myricaceae. Thanks to the fact that they can tolerate drought, fix nitrogen, and have high timber value, species of Casuarinaceae have been introduced far outside of their native ranges. This has created yet another invasive species issue. Various Casuarinaceae have become serious pests in places like Central and South America, the Carribbean, and the Middle East. Control of such hardy plants can be extremely difficult once they reach a critical mass that maintains them on the landscape. Keep you eye out for these species. Not only are they interesting in their own right, knowing them can help you better understand their role in ecosystems both native and not. Scattered throughout hidden oases nestled in the southwest corner of North America grows a glorious species of palm known to science as Washingtonia filifera. This charismatic tree goes by a handful of common names such as the desert fan palm, petticoat palm, and California fan palm. No matter what you call it, there is no denying that this palm is both unique and important to this arid region. Populations of the desert fan palm are few and far between, occurring in a few scattered locations throughout the Colorado and Mojave Deserts. This palm can’t grow just anywhere in these deserts either. Instead, its need for water restricts it to small oases where springs, streams, or a perched water table can keep them alive. Fossil evidence from Wyoming suggests that the restricted distribution of this palm is a relatively recent occurrence. Though not without plenty of debate, our current understanding of the desert fan palm is that it could once be found growing throughout a significant portion of western North America but progressive drying has seen its numbers dwindle to the small pockets of trees we know today. The good news is that, despite being on conservation lists for its rarity, the desert fan palm appears to be expanding its range ever so slightly. One major component of this range expansion has to do with human activity. The desert fan palm makes a gorgeous specimen plant for anyone looking to add a tropical feel to their landscape. As such, it has been used in plantings far outside of its current range. Some reports suggest that it is even becoming naturalized in places like Death Valley, Sonoran Mexico, and even as far away as Florida and Hawai’i. Other aspects contributing to its recent range expansion are also attributable to human activity, though indirectly. For one, with human settlement comes agriculture, and with agriculture comes wells and other forms of irrigation. It is likely that the seeds of the desert fan palm can now find suitably wet areas for germination where they simply couldn’t before. Also, humans have done a great job at providing habitat for potential seed dispersers, especially in the form of coyotes and fruit-eating birds. It’s not just an increase in seed dispersers that may be helping the desert fan palm. Pollinators may be playing a role in its expansion as well, though in a way that may seem a bit counterintuitive. With humans comes a whole slew of new plants in the area. This greatly adds to the floral resources available for insect pollinators like bees. Historically it has been noted that bees, especially carpenter bees, tend to be rather aggressive with palm inflorescences as they gather pollen, which may actually reduce pollination success. It is possible that with so many new pollen sources on the landscape, carpenter bees are visiting palm flowers less often, which actually increases the amount of pollen available for fertilizing palm ovules. This means that the palms could be setting more seed than ever before. Far more work will be needed before this mechanism can be confirmed. Aside from its unique distribution, the desert fan palm has an amazing ecology. Capable of reaching heights of 80 ft. (25 m) or more and decked out in a skirt of dead fronds, the desert fan palm is a colossus in the context of such arid landscapes. It goes without saying that such massive trees living in desert environments are going to attract their fair share of attention. The thick skirt of dead leaves that cloaks their trunks serve as vital refuges for everything from bats and birds, to reptiles and countless of insects. Fibers from its leaves are often used to build nests and line dens. And don’t forget the fruit! Desert fan palms can produce copious amount of hard fruits in good years. These fruits go on to feed many animals. Coupled with the fact that the desert fan palm always grows near a water source and you can begin to see why these palms are a cornerstone of desert oases. There has been some concern over the introduction of an invasive red palm weevil (Rhynchophorus ferrugineus), however, researchers were able to demonstrate that the desert fan palm has a trick up its sleeve (leaf skirt?) for dealing with these pests. It turns out that desert fan palms are able to kill off any of these weevils as they try to burrow into its trunk. The desert fan palm secretes a gummy resin into damaged areas, which effectively dissuaded most adults and killed off developing beetle larvae. For now it seems that resistance is enough to protect this palm from this weevil scourge. It is safe to say that regardless of its limited distribution, the desert fan palm is one tough plant. Its towering trunks and large, fan-like leaves stand as a testament to the wonderful ways in which natural selection shapes organisms. It is a survivor and one that has benefited a bit from our obsession with cultivating palms. There is more than one way to build a tree. For that reason and more, “tree” is not a taxonomic designation. Arborescence has evolved independently throughout the botanical world and many herbaceous plants have tree-like relatives. I was shocked to learn recently of a plant native to the Pampa region of South America commonly referred to as ombú. At first glance it looks like some sort of fig, with its smooth bark and sinuous, buttressed roots. Deeper investigation revealed that this was not a fig. Ombú is actually an arborescent cousin of pokeweed! The scientific name of ombú is Phytolacca dioica. As its specific epithet suggests, plants are dioecious meaning individuals are either male or female. Unlike its smaller, herbaceous cousins, ombú is an evergreen perennial. Because they can grow all year, these plants can reach bewildering proportions. Heights upwards of 60 ft. (18 m.) are not unheard of and the crowns of more robust specimens can easily attain diameters of 40 to 50 ft. (12 - 18 m.)! What makes such sizes all the more impressive is the way in which ombú is able to achieve such growth. Essentially what this means is that instead of a single layer of cambium forming xylem and phloem, ombú cambium exhibits unidirectional thickening of the cambium layer. There are a lot of nitty gritty details to this kind of growth and I must admit I don’t have a firm grasp on the mechanics of it all. The point of the matter is that anomalous secondary thickening does not produce wood as we know it and instead leads to rapid growth of weak and spongy tissues. This is why turgor pressure is so important to the structural integrity of these trees. It has been estimated that the trunk and branches of an ombú is 80% water. A cross section of an ombú limb showing harder xylem tissues separated by spongy parenchyma that has since disintegrated. Like all members of this genus, ombú is plenty toxic. Despite this, ombú appears to have been embraced and is widely planted as a specimen tree in parks, along sidewalks, and in gardens in South America and elswhere. In fact, it is so widely planted in Africa that some consider it to be a growing invasive issue. All in all I was shocked to learn of this species. It caused me to rethink some of the assumptions I hold onto with some lineages I only know from temperate regions. It is amazing what natural selection has done to this genus and I am excited to explore more arborescent anomalies from largely herbaceous groups. One of the first plants I noticed upon arriving in the Sonoran Desert were these small spiny trees without any leaves. The reason they caught my eye was that every inch of them was bright green. It was impossible to miss against the rusty brown tones of the surrounding landscape. It didn’t take long to track down the identity of this tree. What I was looking at was none other than the palo verde (Parkinsonia florida). Palo verde belong to a small genus of leguminous trees. Parkinsonia consists of roughly 12 species scattered about arid regions of Africa and the Americas. The common name of “palo verde” is Spanish for “green stick.” And green they are! Like I said, every inch of this tree gives off a pleasing green hue. Of course, this is a survival strategy to make the most of life in arid climates. Despite typically being found growing along creek beds, infrequent rainfall limits their access to regular water supplies. 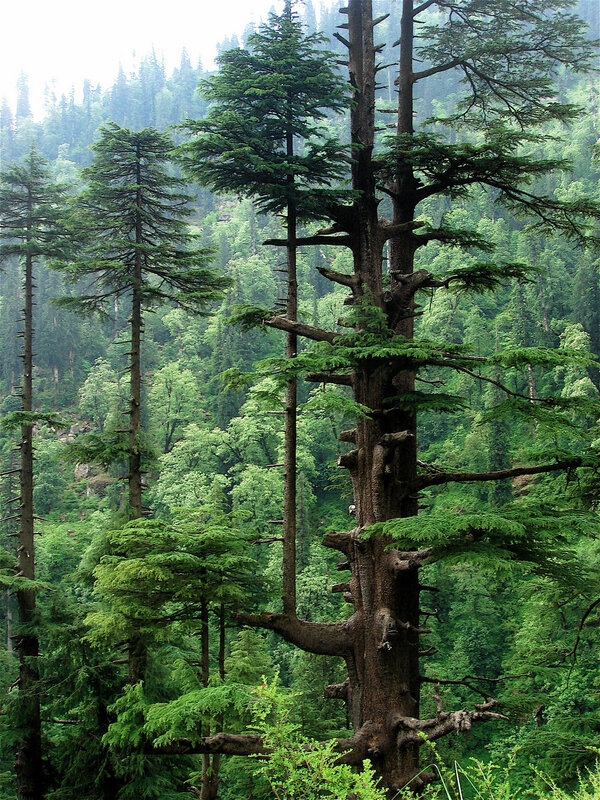 As such, these trees have adapted to preserve as much water as possible. One way they do this is via their deciduous habit. Unlike temperate deciduous trees which drop their leaves in response to the changing of the seasons, palo verde drop their leaves in response to drought. And, as one can expect from a denizen of the desert, drought is the norm. Leaves are also a conduit for moisture to move through the body of a plant. Tiny pours on the surface of the leaf called stomata allow water to evaporate out into the environment, which can be quite costly when water is in short supply. The tiny pinnate leaves and pointy stems of the palo verde. Not having leaves for most of the year would be quite a detriment for most plant species. Leaves, after all, are where most of the photosynthesis takes place. That is, unless, you are talking about a palo verde tree. All of that green coloration in the trunk, stems, and branches is due to chlorophyll. In essence, the entire body of a palo verde is capable of performing photosynthesis. In fact, estimates show that even when the tiny pinnate leaves are produced, a majority of the photosynthetic needs of the tree are met by the green woody tissues. Flowering occurs whenever there is enough water to support their development, which usually means spring. They are small and bright yellow and a tree can quickly be converted into a lovely yellow puff ball seemingly overnight. Bees relish the flowers and the eventual seeds they produce are a boon for wildlife in need of an energy-rich meal. However, it isn’t just wildlife that benefits from the presence of these trees. Other plants benefit from their presence as well. As you can probably imagine, germination and seedling survival can be a real challenge in any desert. Heat, sun, and drought exact a punishing toll. As such, any advantage, however slight, can be a boon for recruitment. Research has found that palo verde trees act as important nurse trees for plants like the saguaro cactus (Carnegiea gigantea). Seeds that germinate under the canopy of a palo verde receive just enough shade and moisture from the overstory to get them through their first few years of growth. In total, palo verde are ecologically important trees wherever they are native. What’s more, their ability to tolerate drought coupled with their wonderful green coloration has made them into a popular tree for native landscaping. It is certainly a tree I won’t forget any time soon. Who doesn't love a nice oak tree? One cannot overstate their importance both ecologically and culturally. Although picking an oak tree out of a lineup is something many of us are capable of doing, identifying oaks to species can be a bit more challenging. This is further complicated by the fact that oaks often hybridize. Still, it is likely you have come across some useful tips and tricks for narrowing down your oak choices. One such trick is distinguishing between the red oaks and the white oaks. If you're anything like me, this is something you took for granted for a while. Is there anything biologically or ecologically meaningful to such a split? In short, yes. However, a true appreciation of these groups requires a deeper look. To start with, oaks are members of the genus Quercus, which belongs in the family Fagaceae. 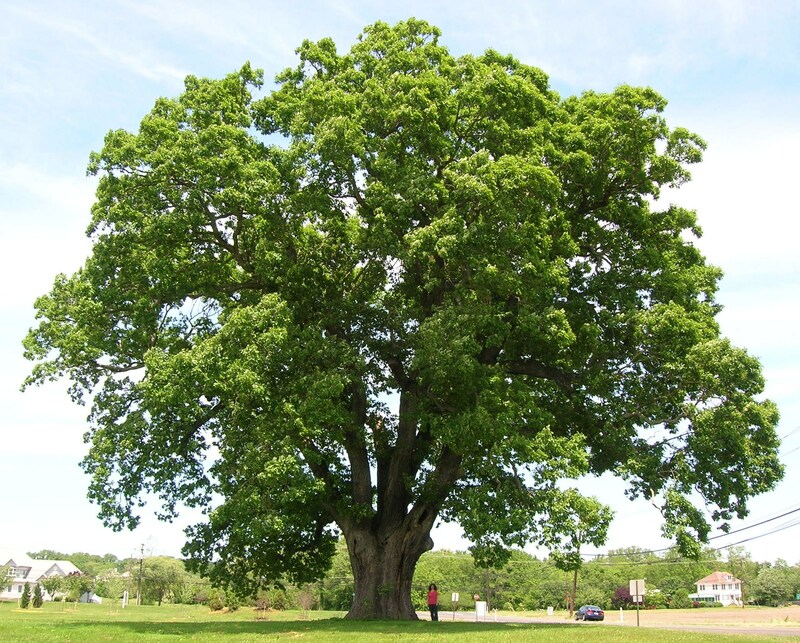 Globally there are approximately 400 species of oak and each falls into one of three categories - the red oaks (section Lobatae), the white oaks (section Quercus), and the so-called "intermediate" oaks (section Protoblanus). For the sake of this article, I will only be focusing on the red and white groups as that is where most of the oak species reside. The intermediate oak group is made up of 5 species, all of which are native to the southwestern United States and northwestern Mexico. 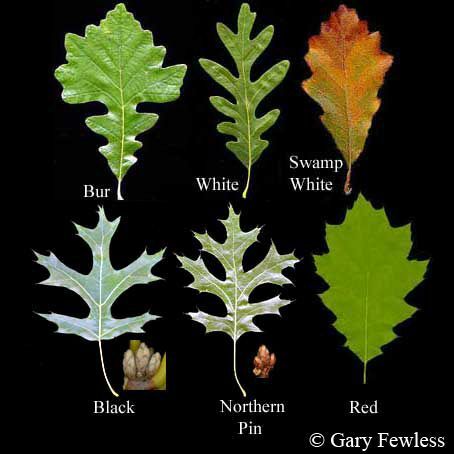 As is common with oak identification, reliable techniques for distinguishing between the two groups can be tricky. Probably the most reliable feature is located on the inner surface of the acorn cap. In white oaks, it is hairless or nearly so, whereas in red oaks, it is covered in tiny hairs. Another useful acorn feature is the length of time it takes them to germinate. White oak acorns mature in one season and germinate in the fall. As such, they contain lower levels of tannins. Red oak acorns (as well as those of the intermediate group) generally take at least two seasons to mature and therefore germinate the following spring. Because of this, red oak acorns have a much higher tannin content. For more information on why this is the case, read this article. Tyloses in white oak xylem. Less apparent than acorns is the difference in the wood of red and white oaks. The wood of white oaks contains tiny structures in their xylem tissues called tyloses. These are absent from the wood of red oaks. The function of tyloses are quite interesting. During extreme drought or in the case of some sort of infection, they cut off regions of the xylem to stop the spread of an embolism or whatever may be infecting the tree. As such, white oaks tend to be more rot and drought resistant. Fun fact, tyloses are the main reason why white oak is used for making wine and bourbon barrels as it keeps them from leaking their contents. More apparent to the casual observer, however, is leaf shape. In general, the white oaks produce leaves that have rounded lobes, whereas the red oaks generally exhibit pointed lobes with a tiny bristle on their tips. At this point you may be asking where an unlobed species like shingle oak (Quercus imbricaria) fits in. Look at the tip of its leaf and you will see a small bristle, which means its a member of the red oak group. Similarly, the buds of these two groups often differ in their overall shape. White oak buds tend to be smaller and often have blunted tips whereas the buds of red oaks are generally larger and often pointed. Tricky leaves of the shingle oak (Quercus imbricaria). Note the bristle tip! Despite this broad generalizations, exceptions abound. This is further complicated by the fact that many species will readily hybridize. Quercus is, after all, a massive genus. Regardless, oaks are wonderful species chock full of ecological and cultural value. Still, oak appreciation is something we all need more of in our lives. I encourage you to try some oak identification of your own. Get outside and see if you can use any of these tricks to help you identify some of the oaks in your neighborhood. The name "Devil's walking stick" just sounds cool. You can imagine my excitement then when I first laid eyes on the species it refers to. Aralia spinosa is no ordinary tree. It is a hardy species ready to take advantage of disturbance. Armed with spikes and a canopy that looks like it belongs in some far off tropical jungle, the Devil's walking stick is a tree species worth knowing. I used to think that spikenard (Aralia racemosa) was the most robust member of the aralia family found in North America. Not so. The Devil's walking stick is a medium sized tree capable of reaching heights of over 30 feet (10 m). Most interesting of all, its triply compound leaves are the largest leaves of any temperate tree in the continental United States. The Devil's walking stick can be found growing in disturbed areas and along forest edges throughout a large swath of eastern North America. When young it is a rather spiny lot. These are not true spines, which are modified parts of leaves, but rather prickles, which arise from extensions of the cortex or epidermis. As it grows, however, it loses a lot of its prickliness. Such armaments are costly to produce after all. It is believed that younger plants develop these structures while they are still at convenient nibbling height, only to lose them once they grow big enough to avoid hungry herbivores. Research has shown that most herbivorous mammals alive today do not bother much with the Devil's walking stick, which has led some to suggest that these defenses evolved back when this side of the continent was brimming with much larger herbivores such as elk and bison. As if the giant compound leaves of this tree were not stunning enough, the surprisingly large inflorescence is sure to blow you away. Typical of the family, it consists of hundreds of tiny green flowers. Despite their size, they are a boon for pollinators. A tree in full bloom comes alive with bees and butterflies alike. Flowers soon give way to clusters of berries, which are a favorite food among birds. All in all this is one cool tree. Walking through the forest is my favorite activity in the world. It is where I feel truly myself. There is something about towering trees that calms me. The thought of why forests are even there often jumps to mind during my strolls. Plenty of plants seem to do just fine hanging out closer to the ground. Why have trees (and some forbs) taken to this vertical realm. Why do forests exist? In essence, forests are a prime example of an evolutionary arms race. It is one that these organisms have been fighting since the Devonian, roughly 385 million years ago. As plants left the water and began covering the land, some inevitably grew taller than others. There are pros and cons to growing tall. Competition is likely the prime driver for most tree species. Getting above your neighbors means more sunlight. Not every plant is as content as an herb to live out its life in the understory. Height also means better pollinator visibility and seed dispersal for many tree species. Out in the open, gametes and propagules can be carried great distances by the wind. Colorful blooms would prove to be more exposed and easier for pollinators to locate. Growing tall can also get you out of harms way, removing sensitive growing parts from many different kinds of hungry herbivores and all but the worst forest fires. There are many downsides to growing tall as well. For one, trees are exposed to the elements and are often victims of strong winds or lightening strikes. What's more, all of that wood takes a lot of energy to produce and, at least for most species, gives nothing back in the way of photosynthesis. It is a rather hefty investment. However, the cost of getting shaded out by your neighbors is definitely not worth the risk of staying small for sun-loving species. Pumping water is another serious issue. The laws of physics suggest that redwoods are pushing the limits for how tall a tree can grow and still be able to lift water to leaves way up in the canopy. Of course, humidity can assist with such issues but for a majority of the water needs of a tree, water must be able to travel against gravity via weak hydrogen bonds. Water forms an unbroken chain within the vascular tissues of plants. As it evaporates from the leaves, it pulls more water up to fill in the void. It is possible that in today's world, a tree would not physically be able to grow much over 400 feet. Despite the seemingly lavish waste of limited resources that a forest of trees would suggest, they are nonetheless a common occurrence all over the globe and have been for millions of years. The pros must certainly outweigh the cons or else tallness in trees would never have evolved. The next time you find yourself hiking through a forest, think of how the struggle for survival has led these towering organisms from lowly green stains on rocks to hulking behemoths racing towards the sky. In Evolution, Trees, Forests Tags trees, forests, tree height, tallest trees, tall trees, why are there trees?